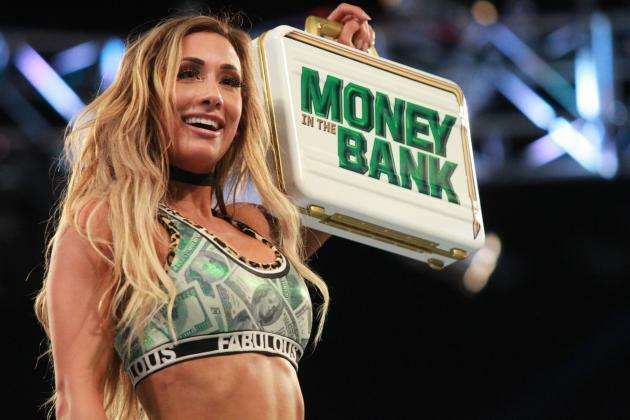 The Money in the Bank record book just became even more F-A-B-U-L-O-U-S.
After 281 days of moonwalking, trash-talking and keeping every single SmackDown LIVE female Superstar on her toes, Carmella has now held the Money in the Bank contract longer than anyone in WWE history. The Princess of Staten Island surpassed the likes of Edge, John Cena, Daniel Bryan, Kane and literally every other Superstar to hold the all-powerful contract. #MellaIsMoney has never rang truer, and, naturally, Carmella took to Twitter to proudly celebrate the milestone. Ms. Money in the Bank, indeed.